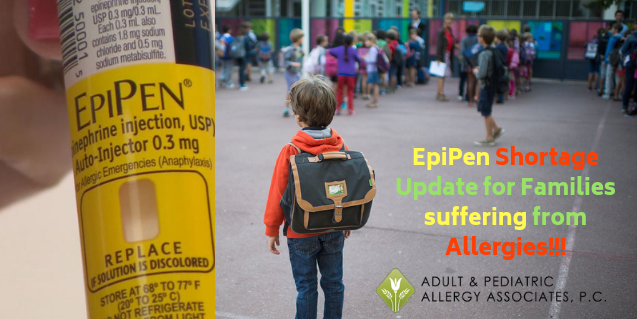 The Epipen shortage continues to have many allergy sufferers in a panic, including parents who need to provide emergency allergy supplies to their school children. But the Epipen is not the only medicine capable of preventing anaphylactic shock (see our page here for info on what life-threatening anaphylaxis is). Walgreens has responded to the Epipen shortage by stocking up on this alternative. They’re stepping up in more ways than one. According to a recent press release, Walgreens will be providing this vital medication free of charge to anyone who has an eligible insurance plan. This even applies to high-deductible plans which historically do not cover very much. This does not include any AHCCCS plans. Those who don’t have insurance may receive assistance obtaining AUVI-Q at an affordable cost by taking advantage of kaléo’s patient assistant program. The kaléo company manufactures AUVI-Q. 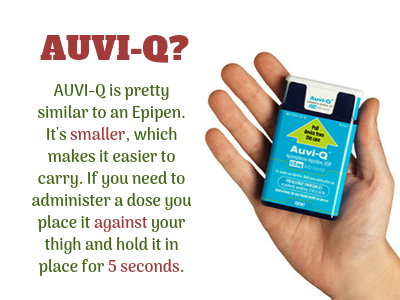 AUVI-Q is pretty similar to an Epipen. It’s smaller, which makes it easier to carry. If you need to administer a dose you place it against your thigh and hold it in place for 5 seconds. It has a fully retractable needle, a safety measure intended to keep a needle from getting embedded in the leg. In this regard, it may be an even safer alternative for kids than the Epipen. AUVI-Q has another innovation: verbal instructions. As soon as you remove the plastic case on the outside in preparation to use the device you’ll hear the instructions playing. This can be nice if you’re trying to administer the injection to yourself. You won’t have to worry that you’ve forgotten something while you’re busy struggling to breathe. 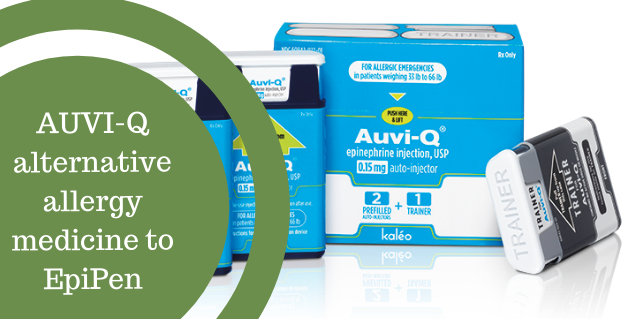 The medication inside the AUVI-Q device is the same as the Epipen: epinephrine. The only real difference is in the delivery method. But the delivery method is enough to mean pharmacists can’t just swap out the two devices. You will need to stop by our office to get a prescription for AUVI-Q if you want to take advantage of this generous offer. With summer heat moving on and our Arizona “cool” fall is approaching, another allergy season is soon be upon us! Unfortunately, spring is not the only time when asthma and allergies are on the rise. 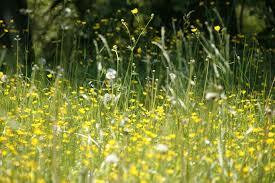 Our late summer rain in July and August means more grasses and weeds and, consequently, an increased pollen count this fall and winter. Moreover, temperature inversions contribute to air pollution, another factor that affects allergies like the common hay fever. At the same time, there’s an increase in asthma symptoms that coincides with our children going back to school. Allergies and asthma have undoubtedly become more prevalent during the last few years. Major cities are turning into allergy hot spots, and Phoenix is no exception. 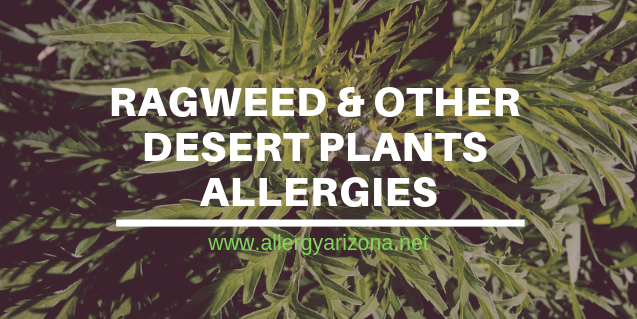 In fact, in extensive study of allergies across the country in 2011, Phoenix ranked the second worst city for allergen sensitizations, right after Dallas. 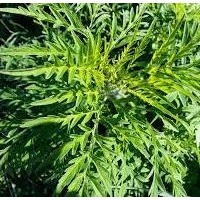 The allergens examined included food, the common ragweed, house dust mites, mold, and pets. When it comes to allergies and asthma, being proactive is crucial. It’s important to remember that allergies are not static-they evolve over time and are greatly influenced by lifestyle changes and age. Nevertheless, with the right preparation, you will be able to treat your symptoms effectively or prevent them altogether in some cases. 3) update your medical history. Finally, this is a great time for first visits if you suspect you have an allergy that will trouble you as soon as allergy season hits! Before your appointment, talk to your doctor about any medication you might be taking. ALERT: Antihistamines interfere with allergy testing, so the general recommendation is to avoid them for seven days prior to testing. However, this may vary for specific medicines, so remember to follow your doctor’s specific instructions. Psychiatric medications are another category that might affect skin tests. However, you should never stop taking your prescription without your psychiatrist’s permission. Finally, if you take beta-blockers, which might make testing riskier, your allergist will consult your cardiologist to have you stop them for a few days right before your visit. There are no special preparations for the actual visit, however, it’s a good idea to wear comfortable clothing to make skin testing on your arm or back easier. Remember to provide your doctor with as much information as possible about changes to your symptoms, the effectiveness of your medication, or anything else relevant. Also, think about any questions you might have and prepare them beforehand. Don’t hesitate to ask for additional information or any educational materials that might be available for patients (which a good allergy specialist should provide). Your first visit to a certified Arizona allergist will include a physical examination and communicating your complete medical history. This is a crucial step and you should try to be as thorough as possible. Remember to bring any relevant medical documents with you. Be sure to mention any childhood allergies, your current symptoms, as well as any medication you might be taking. A detailed picture of your condition will help your doctor determine which allergens may be responsible and test you specifically for them. Allergy tests are suitable for people of all ages, including children. Skin tests are by far the most common. They are reliable, and provide fast results. Examples include the skin prick test, the intradermal, and the patch test. Blood tests are also available for investigating allergies, but these are more expensive and you will have to wait several days for your results. Nonetheless, blood testing is useful occasionally. When allergen exposure during a skin test could result in a severe reaction, when a patient suffers from a severe skin condition like eczema, or they cannot stop taking medication prior to testing, blood tests are a good alternative. Your doctor may recommend retesting in some cases. If, for example, you are on medication and your symptoms return, change or worsen, or if you develop symptoms in a new season, you will most likely need to repeat your tests. Furthermore, people often develop new allergies over time, so it is necessary to identify these new triggers and pick up anything that previous tests might have missed. Another appropriate time for retesting is before beginning an immunotherapy plan. Your doctor will most likely want to check again for specific allergens before administering allergy shots. Dealing with allergies and asthma is not just about treating the symptoms. A well-thought plan designed by you and your doctor will keep you one step ahead of your allergies. With the right preparation, you will be able to deal with this fall’s allergies and improve your quality of life significantly. So, don’t delay your appointment with your allergist this summer. “Allergy and Asthma in the Southwestern United States”. allergy.peds.arizona.edu, University of Arizona, Health Sciences Center, Sept. 2012, allergy.peds.arizona.edu/southwest/advice_fall.html. Accessed 5 July 2018. “Allergy Testing”. acaai.org, American College of Allergy, Asthma & Immunology, acaai.org/allergies/treatment/allergy-testing. Accessed 5 July 2018. “Allergy Testing”. asthma.net, Health Union, asthma.net/diagnosis/allergy-testing/. Accessed 5 July 2018. “Allergy Tests and Asthma”. webmd.com, Webmd, webmd.com/asthma/guide/allergy-tests-and-asthma#1. Accessed 5 July 2018. “How often should I be retested for allergies?”. acaai.org, American College of Allergy, Asthma & Immunology, acaai.org/resources/connect/ask-allergist/Allergy-Testing. Accessed 5 July 2018. Nath, Ishani. “How to Prepare For Your First Visit to the Allergist”. allergicliving.com, Allergic Living, 4 May 2017, allergicliving.com/2017/05/04/how-to-prepare-for-your-first-visit-to-the-allergist/. Accessed 5 July 2018. Quest Diagnostics Health Trends. Allergies Across America: The Largest Study of Allergy Testing in the United States, 2011 [online], questdiagnostics.com/dms/Documents/Other/2011_QD_AllergyReport.pdf. Accessed 5 July 2018. “Will my medication affect the results of my skin test?”. acaai.org, American College of Allergy, Asthma & Immunology, acaai.org/resources/connect/ask-allergist/Allergy-Testing. Accessed 5 July 2018. When Back-to-School time rolls around every year we always remind the parents of kids with asthma and allergies to stock up on more than notebooks and tissue. It’s a good time to make sure you’ve got the inhalers and EpiPens your child needs to get through the school year safely, too. Parents of kids with allergies typically need two boxes, or four pens, to make it through the year. Two for the school nurse’s office, and two for home. Unfortunately, a 2018 EpiPen shortage may make this task difficult for parents this year. According to Pfizer, the manufacturer of EpiPens, the company is experiencing “manufacturing constraints” that are making distribution at some pharmacies “iffy.” Generic EpiPens have been approved by the FDA but haven’t made it to market yet, making these distribution problems even more of a challenge for parents who may already have been challenged by the high price of epinephrine. In response to the shortage, the FDA has reviewed certain lots of EpiPens and has chosen to extend the expiration dates on some pens. Thus, the first step for your child will be reviewing your current EpiPen lot to see if your current pens will tide them over until supplies stabilize. You can call our offices if you need help with this. You can view the list of lots and the new expiration dates here. 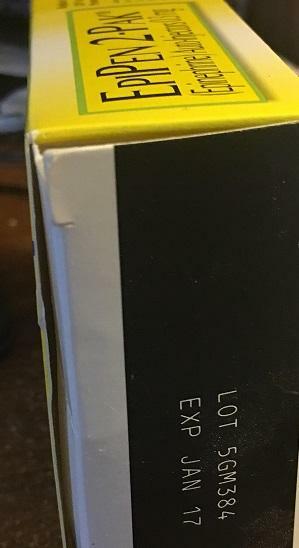 You will typically find the lot number on the top of the box your pens came in. Your pharmacy can also help if you’re having trouble finding your lot number. What if your current batch of EpiPens is not part of the extension? If that’s the case, we may be able to help you locate a pharmacy that currently has a sufficient supply to fill your prescription. With five locations throughout the state we sometimes have access to information other clinics won’t have. While receiving your pens may require a bit of a drive it’s worth it to know your child will have the lifesaving EpiPen on hand should he or she need it. Mylan, the company that markets EpiPens, has also offered a hotline for parents looking for a place to fill their prescription. You can reach this hotline by dialing 1-800-796-9526. Another option may be to explore whether your child can use one of the Epi alternatives out there, like Adrenaclick or Auvi-Q. You may have to speak to your insurance company about whether they’ll cover these alternatives. Even if your insurer doesn’t cover these alternatives normally some have been making one-time exceptions in response to the EpiPen shortage. 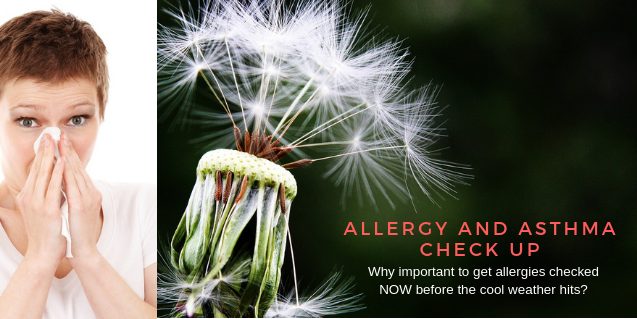 If you’re lucky enough to have an EpiPen that won’t expire for a few months anyway, we here at the Adult and Pediatric Allergy Associates would like to encourage you to wait on your refills. You’ll really help parents who have an emergency situation now. By the time your pens actually expire you might have managed to wait this shortage out. And at the very least, you won’t contribute to the current problem by replacing pens that don’t need to be replaced yet. For more information about our allergy testing or clinic, you can book at any of our 5 allergy and asthma clinisc in the Phoenix Metro on our ZocDoc site for an appointment! 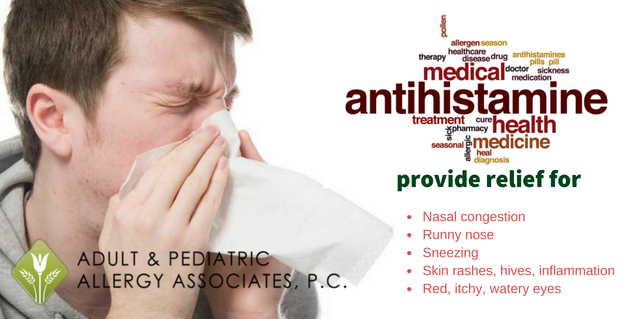 Antihistamines for allergies are often purchased over the counter by customers who want relief from allergy or cold symptoms. Many symptoms are so severe that they can affect how a person sleeps or make it difficult to make it through the day. Using an antihistamine can relieve their symptoms and allow them to sleep peacefully. Antihistamines for allergies come in varying strengths that last for different lengths of time, including 4-6 hours, 12 hours, or extended release that can last up to 24 hours. Some examples of kinds Flonase, Zyrtec, Claritin, etc. More potent doses may require a prescription, but in general, most can be found at a grocery or drug store. As you will read in our Flonase vs Zyrtec blog, each medicine has different purposes. So, it’s important that you discuss your options with a board certified allergy specialist, like Dr Habib or Dr Alasaly to make sure you get only the dose you need, but also the correct one for the symptom. Do Antihistamines for Allergies Have Side Effects? For as helpful as they are, antihistamines for allergies do have side effects. Each person reacts different to the medication and they are considered to be extremely safe for adults. Most doctors and pharmacists recommend that you take an antihistamine and find out how you react to it before taking on any major task or getting behind the wheel of a vehicle. Children with allergies who take antihistamines may have trouble concentrating during class, so it’s extremely important that you monitor them while they are taking the medication. If you begin to experience heavy nosebleeds or your symptoms continue to worsen, contact your doctor as soon as possible. What Are Other Names Associated With Antihistamines for Allergies? Antihistamines and decongestants are not one and the same, although they are often included in the same medication. 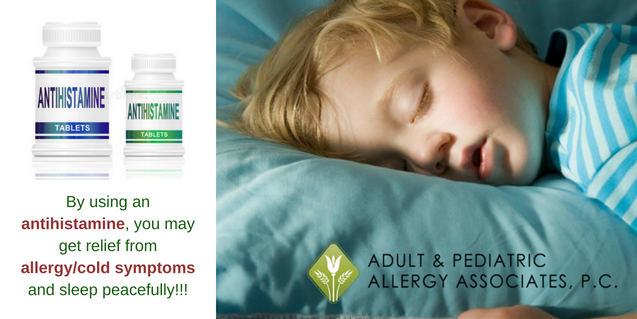 The active ingredient in the majority of antihistamines is Diphenhydramine Hcl. This is one of the most common medications used in the treatment of colds and allergies. While there are more than a hundred different brand names to choose from, it’s important to look at the amount of Diphenhydramine in each dose, how often the doses are to be taken, and what other medications are included in the product. If you live in or near Avondale, Glendale, Phoenix or Scottsdale, Arizona and suffer from allergies, you can find the relief you need at Adult & Pediatric Associates, PC. When you have questions concerning antihistamines for allergies, you need a doctor you can trust. The professional staff have many years of experience and offer the best possible care to each of their patients. And did you know that other doctors in the area often refer their patients to Adult & Pediatric Associates? For over 2 decades, physicians and patients have been highly recommending the staff and doctors because of their level of care and ultimate professionalism!